Hey everyone. I've been in Brasil again for over a week now and have found some time to make some cards. 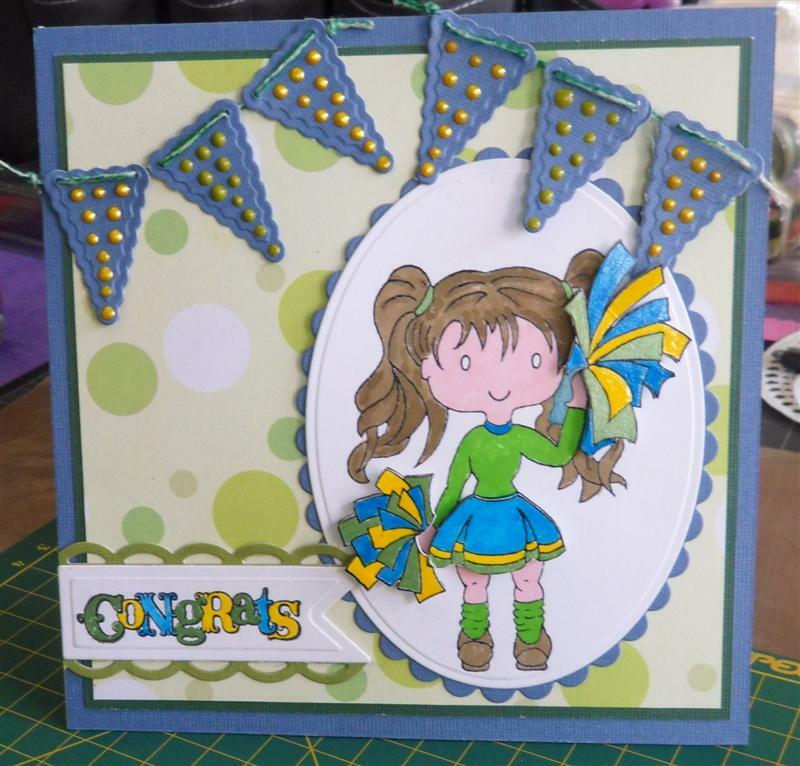 This is my first card using a Gilli image. Last year I attended a copic certification class and I started to chat with the girl sitting next to me. 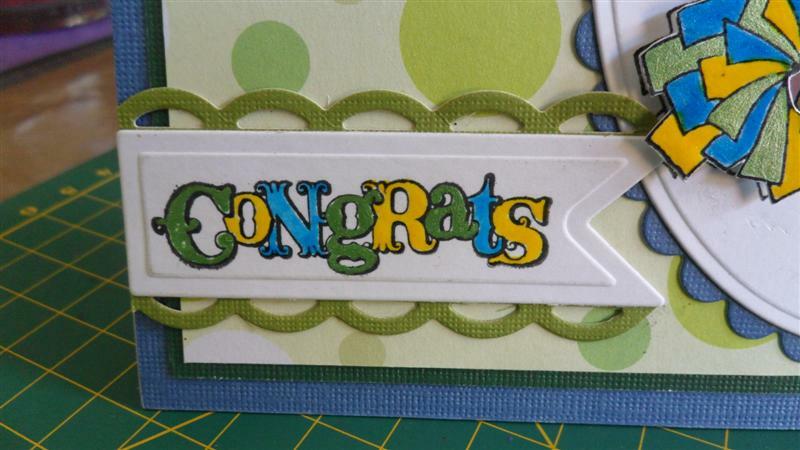 Her name is Anary and it turns out that, not only was she Brasilian, but is also good friends with my friend Cindy who runs www.stampingscrapping.com - and Anary is the designer of the Gilli stamps. I think they are adorable and there are so many to choose from. 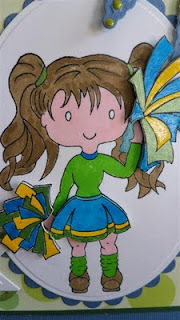 The colors I used in this card - basically blue, green and yellow, are the colors of Brasil. I used the smallest die from the Lacey Nested Pennants and made small dots on them using the Viva Decor Pearl Pen in Kiwi and Sunny Yellow to add some dimension to the pennants. 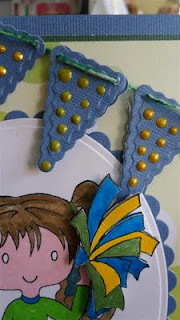 Here I again used the Nested Pennants. 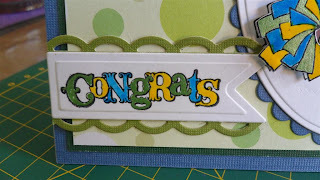 I found a small Studio G stamp that said Congrats and stamped that in the center of the banner. For the scroll on the top and bottom of the pennant, I cut the large scalloped pennant and trimmed the section I wanted and glued to the back. I colored the whole image using Tombow markers but for the pompoms and the skirt, I colored them using Sakura Glaze Pens, cut out the images and pop dotted them.